Overlanders are enjoying a boom in popularity by combining a four-by-four vehicle for getting off-road and a place to sleep once you get to the preferred spot in the wilderness. 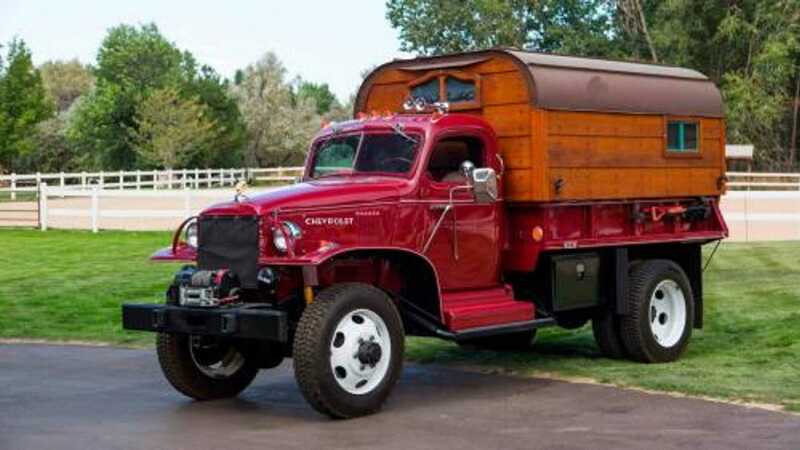 Consider this 1942 Chevrolet Army truck camper conversion among the granddaddies of this idea, and you can take it on an adventure after buying the vintage machine at Mecum's Las Vegas auction next month. These Chevy 4x4 trucks worked during World War II under the G506 military designation and were able to transport as much as 1.5 tons (1360kg) of equipment to where it was necessary on the battlefield. This one was specifically a G7117, denoting a cargo body and winch. 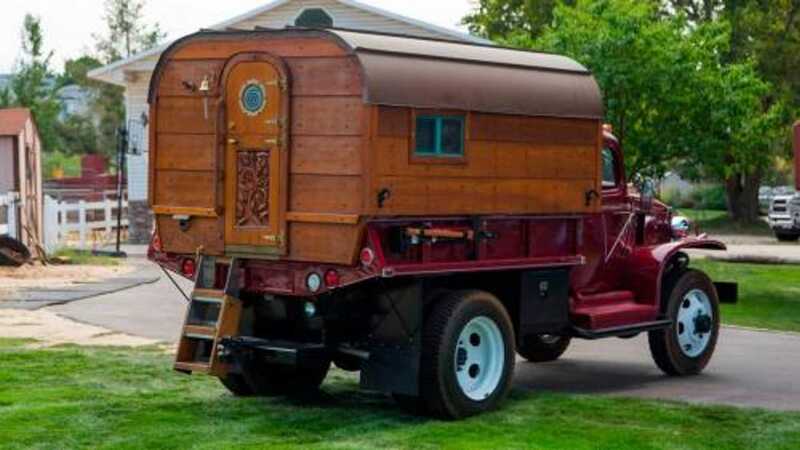 At some point after the war, the rig received an overhaul into a custom camper, including a solid oak section on the back with engraved wood details and brass hardware. Inside, there's a sleeper and kitchenette, but Mecum's photos, unfortunately, don't provide a look at this accommodation area. In addition to the camper section, the work also includes a 350ci (5.7-litre) V8 that replaces the original 3.9-litre (238ci) OHV inline-six from the war. It routes through a four-speed manual transmission, and there's four-wheel drive. The Chevrolet wears an attractive burgundy body. When it's time to make camp for the night, this machine has everything you need because a jack, shovel, and axe mount to the side of the vehicle. If any animals really start to bother you, dual air horns should be plenty loud enough to scare them away. Mecum estimates the vintage camper, unlike anything we’ve ever seen before, to sell for between $45,000 - $55,000. The Las Vegas sale runs from November 15-17, and at least the buyer doesn’t need to worry about finding a hotel if they decided to drive this Chevy home.